Hola peeps! I hope all is good. I must admit things has been a bit slow around here as of late…holidays, parties, work and some mo ish has got my mind going 1 milli a minute. My promise is to catch up with regular posts that you all enjoy on SNC, please stay tuned. Rockin a Mary Katrantzou Interior Chandelier print dress. Killin it in a 3.1 Phillip Lim Ka-Pow Comic Print Sweater. 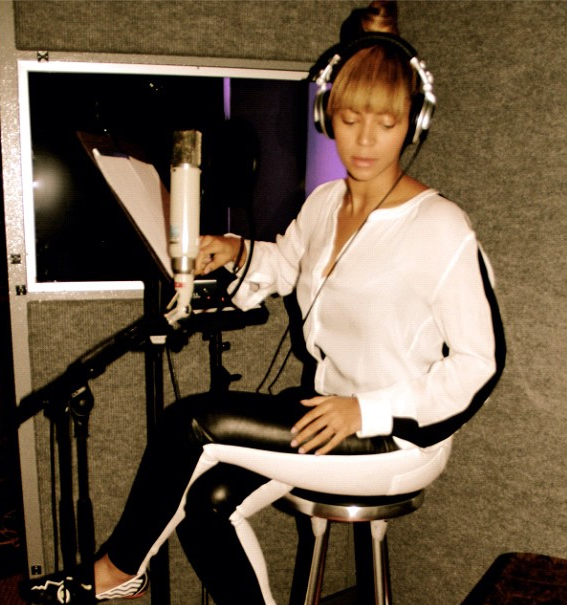 Slayin in the studio in Rag & Bone jeans and Nicholas Kirkwood flats! Showing luv for our Prez in an Obama tee with a side of fangs for ya!